The owners of Athy’s Samsara Cafe woke to devastating news on Saturday morning that their cafe was on fire. The popular local cafe on Leinster Street was completed destroyed by fire and smoke damage. 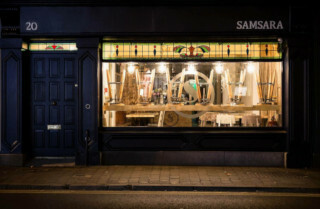 Opened just 18 months ago, Samsara had carved a particular niche in Athy. Over 180 messages of goodwill have been posted on the cafe’s Facebook. It is hoped that Samsara will return to its former glory in the shortest time.